Here, the likes of Barbra Streisand, Elton John, the Rolling Stones, Bette Midler, Phil Collins, Billy Joel, Janet Jackson and Amy Grant have wowed audiences with sold out performances. 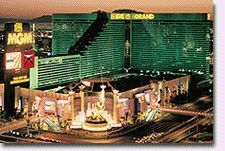 With 5,034 deluxe rooms and suites, the MGM Grand Hotel has something for everyone. 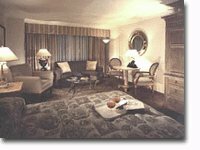 Our rooms are among the biggest you'll find typically 450 square feet. Suites range in size from 675 to 6,000 square feet. Our beach-entry swimming pool and luxurious world-class spa are incomparable. Come pamper yourself in the luxury and elegance that is MGM Grand. Need a babysitter? No problem, our youth center provides on-site supervised activities and our midway and arcade provide non-stop action with the latest video, arcade and virtual reality games. MGM Grand Adventures seasonal outdoor entertainment complex with rides, shows, dining and shops.